Weird Pepsi Flavours | WhatPoll? Pepsi Baobab is an upcoming drink due to be launched in Japan in the very near future. What's a baobab I hear you ask? Yes, you guessed it right by looking at the picture - it is a tree. The Baobab tree is a strange looking tree that grows in low-lying areas in Africa and Australia. Its bark is pounded to make rope, mats, baskets, paper and cloth; the leaves can be boiled and eaten, and glue can be made from the pollen. Now, Pepsi Japan (Suntory) has made a drink flavour out of it. Interesting. 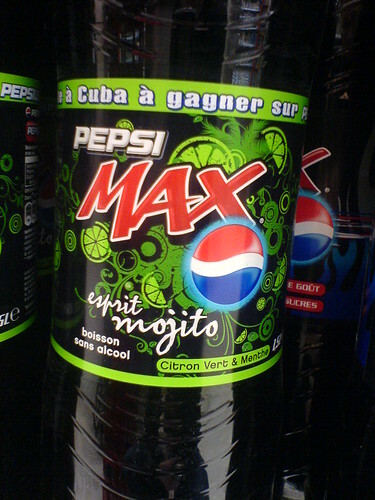 This was a limited edition flavour of Pepsi sold during the summer of 2007 in Japan. It was officially launched as a "combination" of both cola and cucumber, but those who drank it claimed it tasted mostly of just cucumber, with a hint of cola. 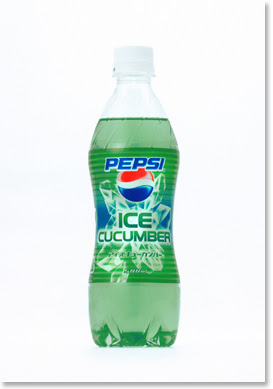 In fact, there was no cucumber involved to actually make it, just a combination of artificial flavours to achieve "the refreshing taste of a fresh cucumber," The drink was quite a big hit when it first went on sale, but sales soon started to decline once the novelty wore off. Pepsi Fire & Ice were primarily sold in Guam, Saipan, Thailand, Mexico, Malaysia, Singapore and the Philippines. 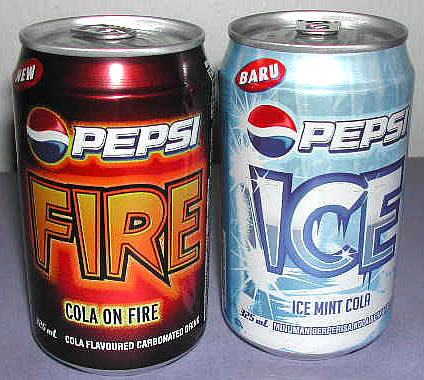 Pepsi Fire has a hot, zingy and cinnamon flavoured taste, while Pepsi Ice has a cool icy mint flavour. People who wanted a truly unique concoction of Pepsi goodness could mix the two together for a bizarre experience. Pepsi Cappuccino is essentially Pepsi with a splashing of coffee flavour, not really that of a good cappuccino. It was mainly distributed in India, Romania and Russia, and trialled in a few other spots in Europe. Back in the mid 90s, Pepsi trialled a similar product called Pepsi Kona in Philadelphia, Pennsylvania, but due to lack of interest shelved it after a year or so. 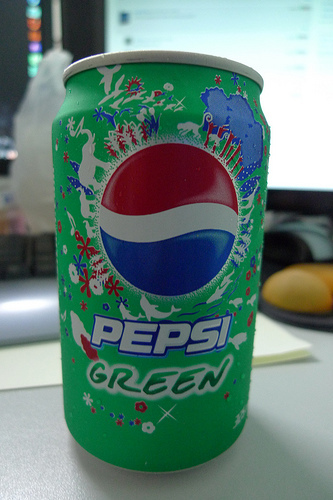 Pepsi Green was launched in January 2009 as a way for PepsiCo to boost sales of soft beverage among the teenage demographic in Thailand. The theme of the product was specifically chosen in response to a 93% response rate that highlighted young Thai's concerns with the environment. Despite being quite popular, widespread confusion emerged shortly after its release on what exactly the additional flavours are. (They are not stated on the packaging). Most describe the taste as a combination of cinnamon, green tea, and Listerine mouthwash. Available in various countries across the world in a number of variations including Pepsi light Mojito, Pepsi Mojito, and Pepsi Twist Mojito, the Pepsi Mojito is the traditional Pepsi-cola mixed with lemon and a Mojito flavour. Sadly, all versions are alcohol free, so if you want a real Pepsi Mojito you are probably better off buying all the ingredients separately and adding your own rum. 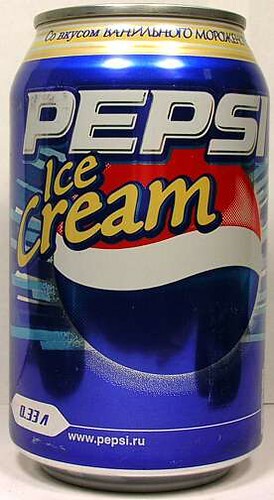 Pepsi Ice Cream was launched in Russia in 2005, and is essentially Pepsi with a hint of vanilla, like a cream soda. This particular drink actually contributed to a surge in sales in Russia that year, and helped push up Pepsi's volume sales for Europe. I'm not sure it would have quite such an impact in the UK or USA with the same title. We have experienced the "Pepsi Vanilla" in recent years which is a very similar product, and represented Pepsi's retaliation to Vanilla Coke. Yes, it's true what it says on the bottle, this is a very unique mixture of Pepsi-cola and yogurt! Suntory, which distributes Pepsi in Japan, released this limited edition drink in the winter of 2008 to coincide with the festive holiday season. A lot of customers claimed the drink tasted neither like cola or yogurt, but some sort of random artificial flavour. It was lighter and sweeter than traditional Pepsi, and was marketed to appeal to people's sweet tooths over the Christmas period. 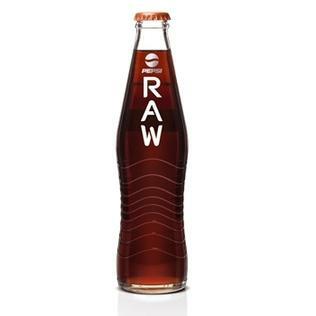 Pepsi Raw, known as Pepsi Natural in the United States and Mexico, is Pepsi without all the man made chemicals thrown in. The drink is free from artificial flavouring, colourings, preservatives and sweeteners. It is not particularly mainstream, usually only being sold in large supermarkets, as oppose to the more mainstream brands which are literally everywhere. You guessed it - this is diet Pepsi mixed into a fusion with strawberries and cream, which was launched in 2006. It has the usual diet Pepsi taste with a hint of strawberries and a creamy undertone. Usually the beverage makers have a hard time successfully pulling of fruit blends with their drinks, but this one was pretty good. This drink is based upon the cocktail of the same name which includes the ingredients rum, pineapple juice, blue Curacao, sweet and sour mix, and sometimes vodka. Needless to say, the alcohol has been replaced by the wonderful flavour of Pepsi. It was only available in Japan, and was made with mostly artificial flavours and preservatives, so if you are looking for authentic flavour, look elsewhere.